Darby O'Gill captures the spirt of Ireland in an ecclectic mix of great vocals, great musicianship and a non stop sense of humor. Thier ability to make the listener smile and enjoy the moment is uncanny. 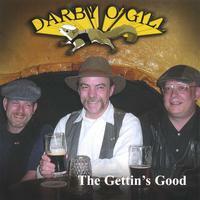 Darby O'Gill is a high-energy stage-show band that uses fine music and cutting humor in a singularly Irish style, and is equally at home in an intimate pub setting as on a concert stage. Their music is ancient and modern, from a 14th century Madrigal to Pink Floyd. Many of them are original, award-winning pieces. The majority are traditional Irish/Scottish songs. But the single most important thing to be said about their music is that in none of it is there ever to be found any hint or reference to squirrels. What is this about "No Squirrels"? Darby O'Gill really harbors no animosity toward squirrels. Personally, we like them just fine. They're clever, intelligent and full of mischief. They pay no taxes and pursue no politics. But we've learned at our cost to keep our songs, and our show, free of them. There are no songs, as far as we are aware, that involve squirrels; and certain historical disasters have been directly attributed to human principals trying to sing songs about squirrels. (The wreck of the Edmond Fitzgerald, the sinking of the Titanic, Watergate, the lean of the Tower of Pisa, the Chicago fire and the eruption of Mt. Vesuvius are among the notable events thought by historians to have been instigated by songs about; squirrels). Certain songs have been written involving squirrels, but disaster and a thorough lack of success followed them until their lyric were changed from "squirrel" to "girl". "Thank Heaven for Little Squirrels", "My Brown-Eyed Squirrel", and "Lucy in Disguise With Diamonds", ("The Squirrel With Colitis Goes By"), are notable examples. Being of Irish decent, growing up I have heard a lot of modern and traditional music. This cd captures the best of both. My 25% Scottish blood was also stirred. Lively and soulful, well worth the time. This CD has a nice mix of lively and spirited Irish music along with the occasional mournful piece. It's definately going to figure largely in my listening for quite a while.